After the sweeping victory of the congress party in Madhya Pradesh, it was time to welcome a new state authority. The new government, with Kamal Nath as the CM will be discharging the duties. At the very first meeting, the CM made clear that he means business. He started his official journey with the announcement of a new scheme that is targeted towards the betterment of agricultural workers. With the MP Loan Waiver Scheme, the state will relinquish the loans, which farmers had taken. Assistance for the farmers – The primary objective of this project is to offer financial respite to the agricultural workers. Farmers find it hard to arrange money to pay the back loan and interests. With this loan waiver scheme, the state will take care of that issue. Credit for agricultural reasons – Only those farmers will be considered under this scheme, who has taken the loan to meet their agricultural requirements. Purchase of farm machinery will not included in this program. Total loan waiver – Though it is not fixed, but the state government has set an upper limit for the loan waiver amount. It will consider those applicants who have taken a loan that does not cross the Rs. 2 lakh threshold. If the famers have taken more loan sum, then only that amount must be paid by the farmers. Total number of beneficiaries – With the implementation of this farmer loan waiver program, the state government will be able to provide respite to as many as 40.96 lakh agricultural workers, who have opted for credit from the banks. Selected banks – The state government has also announced that agricultural workers, who have attained credit from nationalized banks, cooperative financial institutes, and agricultural banks, will be able to opt for this scheme. Date of loan issuance – Apart from this, the scheme also suggests that all agricultural workers, who have attained the credit on or after 31st March 2018, will not have to worry about the payment of their outstanding credit amount. The state will forgive this sum. Budget of the scheme – An estimate suggests that for the successful implementation and meeting the goals, the new state government will have to shell out as much as Rs. 56 thousand crore. If farmers are able to clear their debt within March 31, 2018, to December 12, 2018, the government will take necessary steps to provide the incentive amount to farmers. However, information about stimulus amount is yet to be declared by the state government. Under the debt waiver scheme, the government has promised to repay bank loans of the farmers. For the same, the government is planning to introduce a one-time settlement scheme. Also, the government has ensured that impact of the scheme will not affect any development projects in the state. This will also not affect the price of utilities used by common people. The Government has issued a notice that eligible farmers will get certificates related to the debt waiver scheme from February 22 2019. After the clearance of the loan by the state government, the farmer will be able to opt for a loan again from the bank. This time the farmers will not be called a defaulter. Residential criterion – The scheme has been implemented for the betterment of agricultural workers, living within the borders of MP. Thus, interested applicants must show legal residential proof to get the benefits. 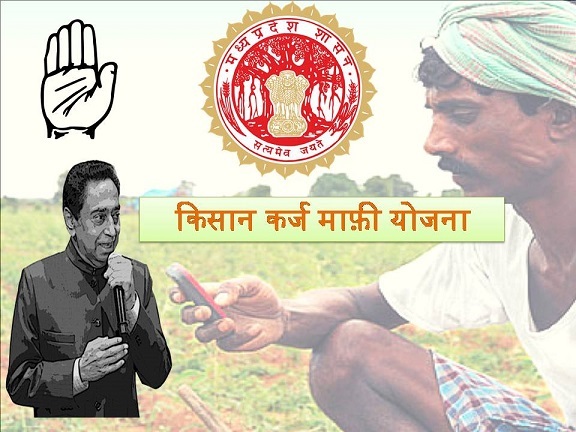 Professional criterion – The scheme has been implemented for poor and needy farmers only. If the credit has been taken by a full-time farmer for agricultural purpose, only then he/she will be able to attain the benefits. Personal identification – Farmers will have to submit a copy of their personal ID proof. The voter card, ration card, or Aadhar card will be used for this background check. Credit related papers – All interested applicants must present their credit acceptance papers. It will help the authority to check the details and scrutinize the information. The private banks are not included in this debt waiving scheme, and therefore, farmers who have taken a loan from private banks will not be waived. State and Central officials will not be benefitted under this scheme. It includes MLA, MP, Municipal Corporation, Municipal Council, and District Panchayat Chairperson who cannot avail the benefits of the scheme. When any retired person is willing to avail the benefits of this scheme, their pension amount should not exceed 15 thousand on a monthly basis. It is important to understand that the state offers three separate registration forms under this scheme. Each form represents a particular category of farmers. All interested applicants will be able to download the required enrollment form from the official government site. It must be noted that only if an agricultural worker has taken the credit to meet farming related requirements, will he be allowed to get the credit waiver. The green colored application form is for those applicants, whose bank accounts have been linked with their respective Aadhar cards. The white colored enrollment form is for those agricultural workers, who succeeded in attaining agro-loan but have not linked their account details with their Aadhar cards. Farmers, who have taken loan but don’t have Aadhar cards will also have to opt for this registration form. Apart from these two, applicants can also download a pink colored form. It is not for registration purpose. If any candidate wants to submit any claim or register a complain, then this pink form will come to the fore front. For the prosperity of the entire state and correct utilization of the features of the scheme, the state will have to win the support and participation of agricultural workers. The Madhya Pradesh CM announced that for the implementation of this credit waiver project, around Rs. 50,000 crore will be spent from the state coffers. For speedy implementation, the state wants to wrap up the enrollment process by 5th February 2019. That way, it will be able to embark on the actual waiver activities by 22nd February 2019.